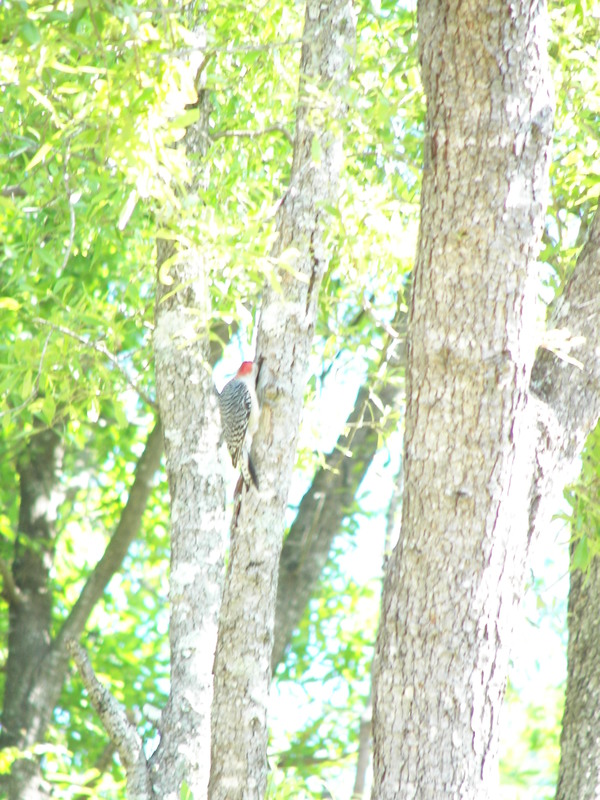 Woodpecker in a tree in my current backyard in April 2009. For the first time in four years (because of my own volunteer-happy stupidity), I now have a bit of free time. Feels like it’s been forever! Before I take on my next venture (that will be about me), I am enjoying the summer like I used to as a kid. Reading! I do not remember having summer reading lists like today’s students, but I always loved reading and spent much of my summer and year-round free time reading. Best spot was in a tree outside our tiny little Linton, Indiana, house. It had the perfect branch for me to sit on with my back against the trunk. I took my – retro flashback alert – wait for it! – transistor radio with me and ignored the world. Love my modern day transistor radio, otherwise known as an iPod and I still love to read. A couple years ago I bought a Nook Color. At that time, the Kindle did not have touch screen and after having that functionality on my Smartphone for so long, I had to have it … enter the Nook Color. Now it sounds like Nook will die a slow death thanks to Barnes and Noble. Interestingly I have not liked the eReader world as much as I thought I would or as much as I like the eMusic and ePicture world. I can’t share my eBook with a friend, unless they happen to have a Nook and the publisher happens to allow me to share it. That in itself annoys me big-time because a publisher cannot prevent me from sharing my physical copy. Another loss with eReaders, and I believe this is important, is that others do not see the spine of books people are reading. Many times I see a book someone is reading and ask them about it, or note the title so I can look it up. Wonder how this lack of visibility impacts book sales. eReaders sacrifice the ‘warmth’ of holding a book. Feeling the paper pages and hearing them turn creates an emotional interaction with a good book that the eReader cannot replicate in my opinion. I do love being able to look up a word right in the book from my eReader and I like the highlighting feature. Still with a dictionary and highlighter pen close by, I have the same options with my physical copy. Given the news from B&N this week, I am glad I have not invested a lot in Nook books. On that note, anyone know how I can save them to a different platform? Anyone reading anything good this summer? I have found that YA books are some of my favorites, e.g., The Book Thief, In Between Shades of Gray. Let me know what’s on your kids’ summer reading lists … or yours.